NBA 2k15 is out now and is experiencing bugs and server issues. Deep down under the new number and fresh paint could there still be the same game? 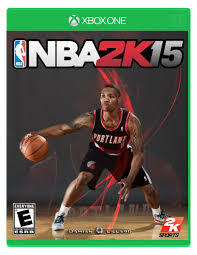 NBA 2k14 was plagued with server issues and the ever infamous jersey gitch but has there been enough improvements? The answer yes. They are probably experiencing large traffic which is why the servers are having connection issues. For those who have this game and are experiencing issues give it time. You will be ball’in down the court in no time. Never assume you know a something about someone. They can be an entirely different person. Assumption sumption whats your function? You know they say that curiosity killed the cat but what did assumption do? It had to do something to the cat lol. Whats its function? Is assumption ever a good thing? Never assume unless you want things to be assumed about you. I say that to say this, people change everyday, who they are right now isn’t who they maybe tomorrow. Of course the person that they are changing to is affected daily by new experiences and lessons learned. Has assumption done anything in your life? Do you know what the purpose of Assumption is? As always be sure to comment, share and follow! This was a short post but more will come.